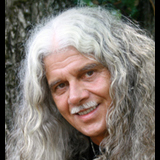 My name is Jean-Pierre Raven Gregoire; author of Love's True Home. I write under the pen name of Sri Gawn Tu Fahr. I didn’t set out to write Love’s True Home. I slowly became aware that it was writing me, so I surrendered and became the Spirit’s pen. This remarkable book is written by Sri Gawn Tu Fahr, Facebook's Mystic of Mayhem. His 21,000 fans, friends, and followers (6 accounts) lovingly refer to him as Rumi on a rocket, Eckhart Tolle out of control, Einstein looped on wine, Gandhi with the wind, Dr. Seuss tanked on heavenly juice and the Mystic of Mayhem. 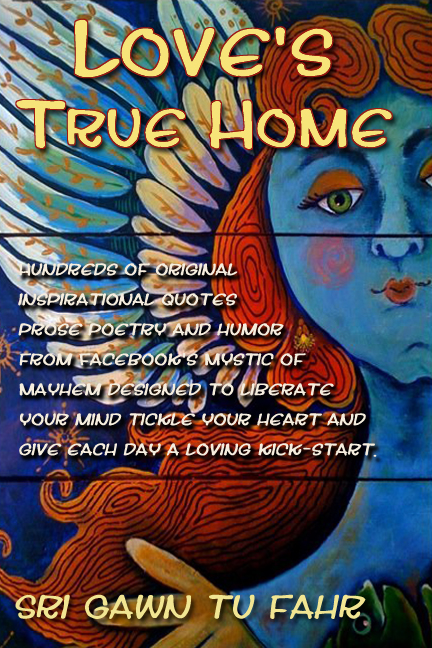 Love's True Home is a contemporary literary gem sparkling with a unique blend of Sri Gawn Tu Fahr's irreverent humor, timeless wisdom, insightful prose and eloquent poetry. Hundreds of original, inspirational passages provide succor from the trials and tribulations of everyday life, elevating every heart to breathtaking worlds of adventure, love and joyous spiritual freedom. Love's True Home is dedicated to Oprah Winfrey, a truly inspired soul through whom spirit's love flows into our world like a glorious river of light, and an ecstatic song of joy. Keep Love's True Home by your side, and reach for it anytime you experience a bout of spiritual heartburn. Love's True Home is now available for purchase online as an e-book, paperback and hardcover. The dude is oooooon. Imagine Gibran on double chocolate mocha; Hafiz after pounding back a dozen DQ butterscotch sundaes, and you will begin to see the wry, effervescent genius of Sri Gawn Tu Fahr. This is the Gita for the gigabyte generation, folks, yet despite the pop culture feel of the man's anchoring wit ("Human beings are living proof that God has an incredible sense of humor"), there is much timeless wisdom afoot in these endlessly flowing lines. "Why waste your life chasing dreams? Set yourself free and let them catch you." Over and over again, and in many forms, Sri unfolds the ultimate Truth, that there is nothing separating you from that which you seek, nor from the Creator, nor indeed each from other. Do not look for salvation or Truth from others - or, in the words of Sheldon Kopp, If You See The Buddha On The Road, Kill Him. "Love is always beautiful. Gaze into the mirror and see for yourself" - Sri Gawn Tu Fahr. The sensual way he writes about love and togetherness, especially in the smokin' Divinity of Woman chapter, echoes Rumi's countless references to The Beloved, which is a composite entity, comprising one's human lover and the Consciousness that manifests in all beings. "The sweet nectar lies within thee, precious woman, and flows like a majestic waterfall from your heart into mine." There is just so much to revel in as one reads these insightful chapters, that a review simply cannot hope to do the book justice. In his use of metaphor, including his use of the ocean as a representation of Consciousness, Sri explores a place that lies somewhere between the Sufi poets and T S Eliot... "Hand in hand, we walk along the shores of life; whitecaps foam and whisper tales, then disappear again." Since Sri Gawn Tu Fahr has dedicated his book to Oprah, I will end with the Oprah quote with which I began my novel One Star Awake... "With every experience, you alone are painting your own canvas, thought by thought, choice by choice." Interview - Feb, 2011 on "Wisdom's Soft Whisper"